Lots of Facebook news these days about their new platform. That company is amazing. I added Twitter to my Facebook profile today. And I also added Veoh. 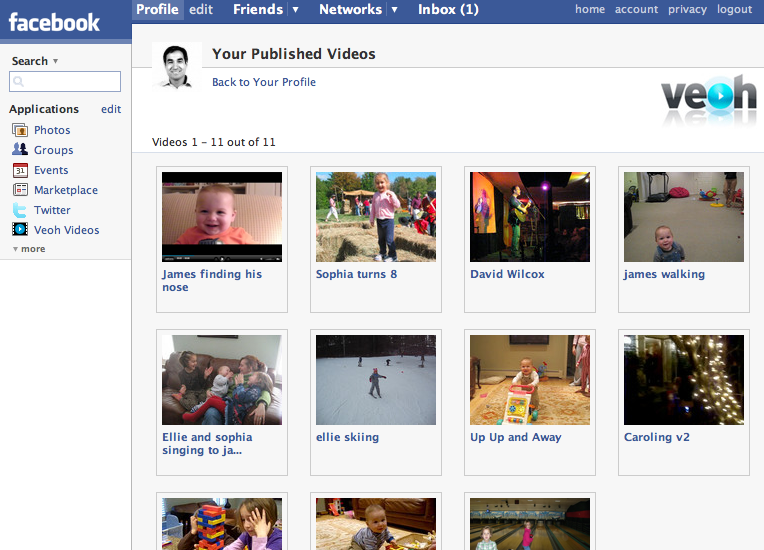 So if you are in my Facebook network you can check out some of my home videos that I have uploaded to Veoh. It’s pretty cool. I don’t think they support Flickr inside of Facebook. Hopefully that will happen soon. Previous Previous post: Star Wars video mashups. woot!